Whhaaaaaaaaaat is thiiiiis????? 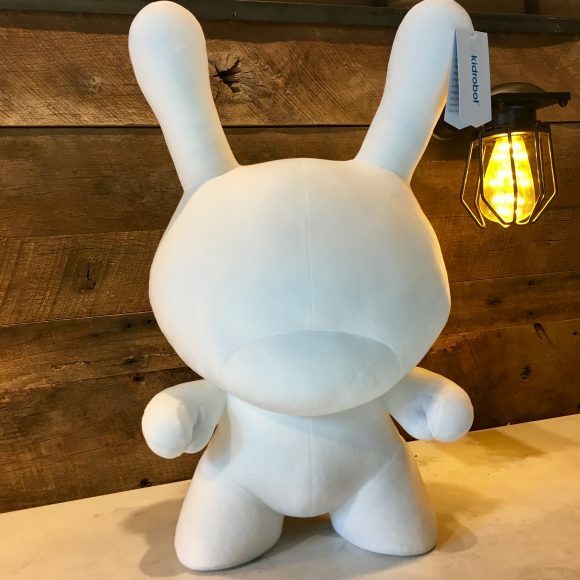 Thank goodness this 20 inch Dunny from Kidrobot is made of plush, cause it blindsided us all so hard we would need a personal injury lawyer. From out of seemingly nowhere comes the ultimate in stuffed animals and Dunny collectibles all rolled into one very soft plushy. These are limited to only 200 pieces and available exclusively at Kidrobot.com for $75 each. This ain’t your momma’s throw pillow..